American Fruit GrowerTM News - published weekly, provides fruit growers nationwide with the latest industry news and timely features on production, crop protection, farm management and more. Please select if you would like to receive this information. 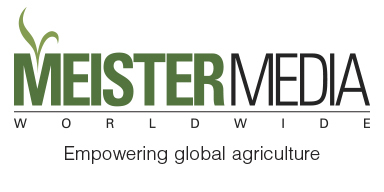 American Vegetable GrowerTM News - published weekly, supplies vegetable growers across the country with breaking industry news and timely features on production, crop protection, farm management and more. Please select if you would like to receive this information. Growing ProduceTM News - published weekly, Growing ProduceTM News serves as a top information source for growers and allied professionals seeking to find out the latest news and trends in the fruit, vegetable, and citrus sectors. Please select if you would like to receive this information. From time to time we'd like to send you carefully pre-screened business information from our preferred ag partners. Please select if you would like to receive this information. At Meister Media Worldwide, we know that you - our customers and readers - value your privacy. If you have have any questions regarding this form, or subscription-related questions contact our Subscriber Services Department.